oh what a wonderful layout lisa!!! love it!! my oldest is starting 1st grade and i already have been crying!!! he just says "oh mom not again!" LOL!! Awesome layout! I especially love how you used the school ribbon along with the other page elements. You are so good at using LOTS of fun color and patterns on your layouts! This is fabulous! beautiful page very colorful. the songs get to me too. this is such a great use of all that color! Awesome! You rock SS!! Love those fresh colors! That is beautiful!! !Love all the layering~you are the queen of layering, great work using SS!!!! Love it Lisa!!! Great look with all that color on the dark background. Love how you used her ribbon too! I sure like those colorful papers! Nice bright colours and great use of the ribbon! LOve love love all that awesome layering! I think those slide shows are designed to bring on the tears! Beautiful page, love all the bright, happy colors. Thanks for stopping by my blog! Great page Lisa! 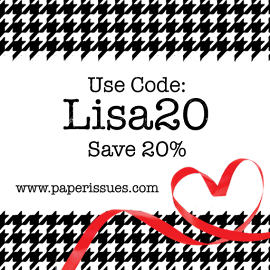 Love how you incorporated the ribbon! I am sentimental li,e that too. Did OK with the graduation breakfast but am worried about losing it when school starts up and my baby starts middle school. Helps knowing that K is going to be there with her. Wonderful page. You did a fantastic job with that paper collection! You did really good. It to cry! How sweet. This layout is awesome! 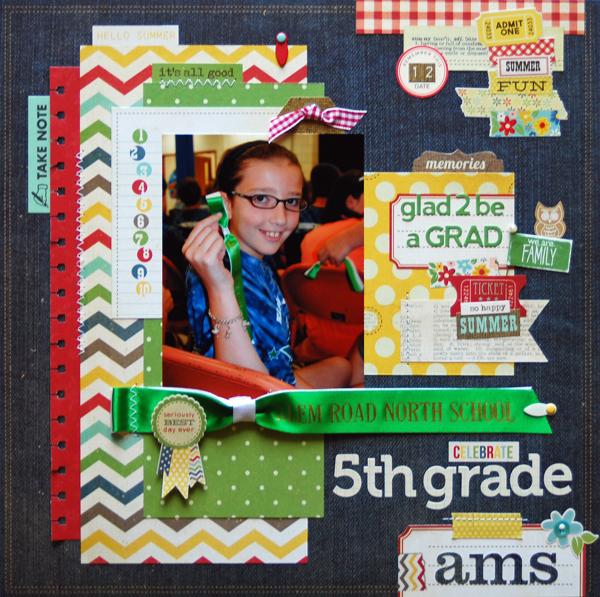 Love that you included the ribbon (and that she let you) and the layering! Beautiful! Great use of memorabilia on a page. Love your design. Poor Alexa. Afraid her mom would cry! I am doomed to embarrass Cory, lol.